Today while waiting for friends to arrive a couple of our boys played in the gym with some brightly colored ping pong balls. 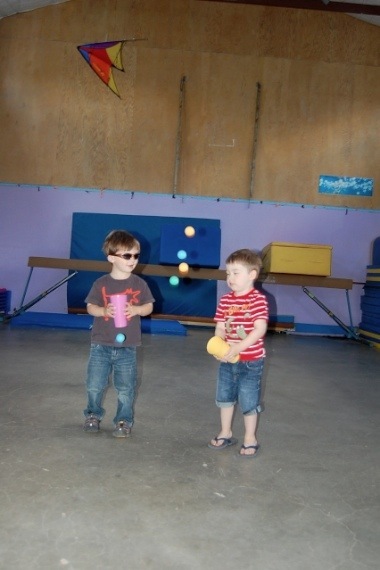 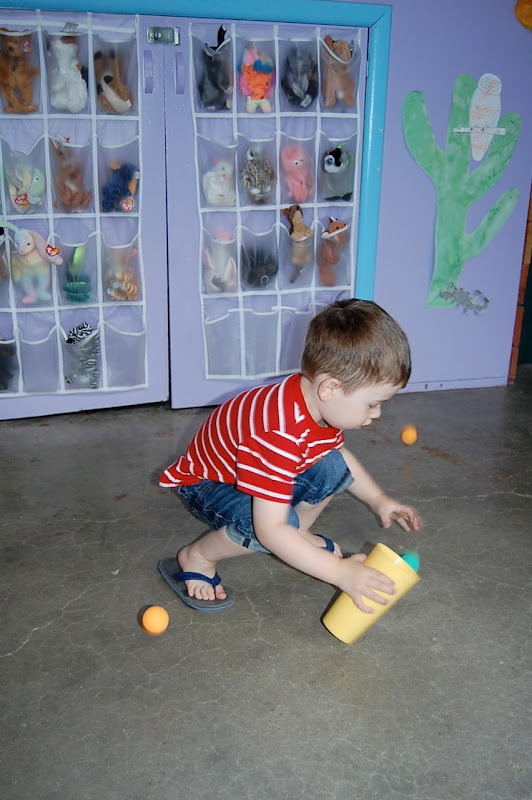 The boys had a great time bouncing the balls and then catching them in cups. During the next couple weeks we have several water activities planned. 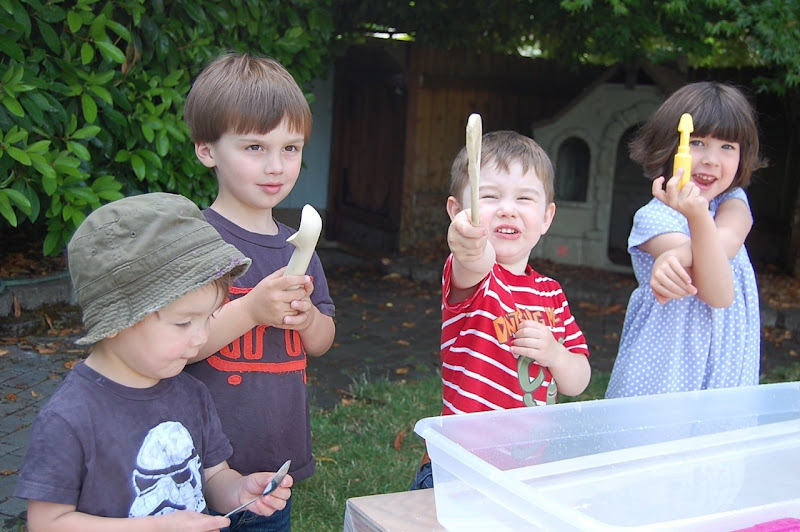 We began this week just exploring and playing in the new water table. 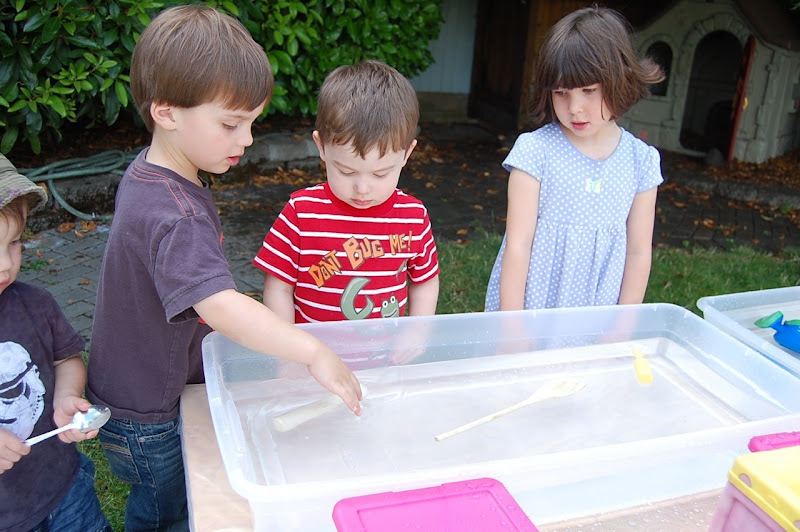 Today the children experimented with different objects to see which would float or sink.